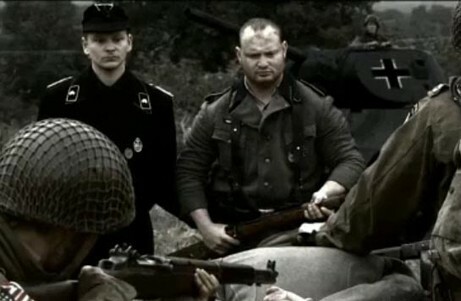 The trailer for the new World War II drama "THE TRAITOR" by Robert Shannon has been released. This will be used for promotional purposes for distribution companies. With a bit of luck this ambitious project will hit the big screen ormight be broadcast nationwide next year. In this trailer, Jerome appears only very briefly. and vicious SS officer Bernhard, who is responsible for atleast 7 executions. The film was shot last year, October 2008, outside London, which also marks Jerome's feature film debut. Jerome as SS officer Bernhard. 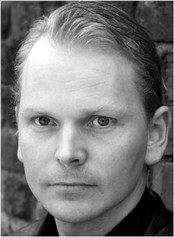 Jerome starts filming for feature film "THE TRAITOR". Jerome is currently filming for the new World War II feature "THE TRAITOR" in which he plays the evil SS-officer Bernhard, who executes 4 members of a French family and 3 American soldiers. The film is directed by Robert Shannon and shot at several locations in Herdfordshire, UK. The film is expected to be released winter 2009. 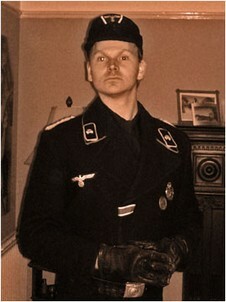 Jerome as SS-officer Bernhard in 'Traitor'. Jerome landed the part of German ss-officer Bernhard in the new feature film 'Traitor' by actor/director/writer/producer Robert Shannon, in collaboration with Balistic Film and Daniel Johnson Films, which will mark Jerome's feature film debut. 'Traitor' is an exciting and compelling World War Two Feature about the army trying to uncover a network of spys within the military. 'Traitor' will be produced as a TV film and will be broadcast on national television in the UK. Dates and TV channel currently unknown. Shooting starts early September 2008 in London and several locations in the UK.